Q. What is the Hindu stance on euthanasia? Is it murder to "unplug" someone who is simply being maintained by a machine, or is it torture to force a soul to remain in such a hellish condition? A. In today's world the complex debate over euthanasia includes among other things consideration of the means and the nature of consent. While I have not studied the subject in depth, I believe that the section of the Hindu canon that I seek to represent allows room for some form of euthanasia, or voluntary death. While Hindu texts maintain that all life is sacred, they do not teach that life should be preserved at all cost. Rather they often tell of heroes and heroines who decided to die when their lives could certainly have been prolonged. Among these, Raja Pariksit, whose role is central in Srimad Bhagavatam, serves as an example. He chose to fast until death after he was cursed to die in seven days, even though he could easily have nullified the curse. 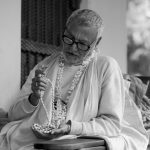 He asked Sri Suka about his impending death and the sage responded with the poetry of Srimad Bhagavatam. Suka told the Raja that no one is really a king, for death rules over all. Death is the hand of God, and we are to hold God's hand tightly. Sati, the wife of Lord Siva, is another prominent example found in Srimad Bhagavatam. 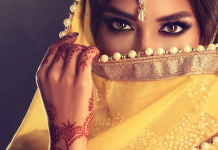 Through yogic power she destroyed her body from within by mystic fire, doing so to sever the hereditary connection she had with her father, who had grievously insulted Lord Siva. Later she manifested as Parvati, the daughter of the Himalayas, and again became the wife of Siva. Of course, these are supernatural beings, but nonetheless their examples are relayed in scripture to teach us that this human life is but one frame in the motion picture of our eternal life, and that the true value of life is in many respects determined by how we die. In fact, Bhagavad-gita states that our afterlife is determined in accordance with the state of our consciousness at the time of death. In this sense life is about death, and the secret of eternal life lies in understanding death. What is death? The Gita tells us that death is but a change of body for the soul, and that human life, be it short or prolonged, is wasted if not spent in pursuit of the spiritual prospect that comes into view only in human life. The dilemma surrounding euthanasia has much to do with misunderstanding the purpose of human life, a misperception that causes many to feel either that human life should be preserved at all costs or that it is merciful to end the lives of those who can no longer enjoy materially. However, when we realize that human life is not intended for the pursuit of temporal enjoyment and conduct ourselves accordingly, all concerned will be better prepared for death, and it will be apparent that certain circumstances may warrant some type of euthanasia for reasons other than those that are the main focus of today's debate. After all, the word euthanasia itself seems to say this. From the Greek it means, "dying well." We should all try to die well. In that we have some say in the matter, for the choices we make throughout our lives will determine the consciousness with which we leave the world, and the consciousness with which we leave the world determines the extent to which we have died well. Life is, of course, full of contradictions, and to many issues of the day there is no absolute right or wrong. We are destined to live with a degree of uncertainty about all things other than death, for only death is sure. That said, I have no doubt that if humanity focused on this certainty in the company of persons of wisdom, persons who have forgone the folly of the pursuit of enduring happiness in relation to that which does not endure, then lust, greed, avarice, and the like would evaporate and kindness towards others, humility, and a host of other noble qualities would flood the world. Q. How did the concept of dharma originate? 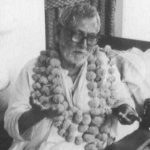 A. Srimad Bhagavatam states that dharma comes from God and is not a product of the materially conditioned mind–dharmam tu saksad bhagavat pranitam. 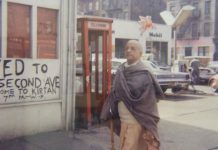 Furthermore, the Bhagavatam says that although dharma comes from God, dharma remains hidden by God as well. It is hidden in the hearts of the great souls who know God–dharmasya tattva nihitam guhayam. 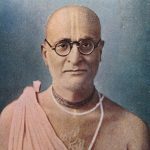 Therefore, anyone interested in knowing the truth about dharma–dharmasya tattvam–must approach great souls for guidance. Indeed, serving them is the key to understanding the essence of dharma. Q. What is the meaning of dharma? A. Dharma means many things to many people. However, in Srimad Bhagavatam, Raja Pariksit asked the sage Suka to explain the essence of all dharma. 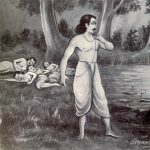 Although he was an emperor, the Raja submissively approached the boy sage Suka and asked him, "What is the perfect expression of dharma for human society, and in terms of dharma, how should one be occupied at the time of death." This is the setting of the speaking of this holy text, and a principal speaker of the narrative, Sri Suta Goswami, has given a very concise answer to these questions. Let me cite his poetic words. "The supreme religious activity of the human being is that which results in devotion to Bhagavan, who is beyond the purview of our material senses. This devotion must be without motivation and uninterrupted–only then will it bring full contentment to the soul." Bhakti means devotion, or loving commitment, and "Adhoksaja" is a name for Krsna, meaning he who is "beyond the purview of the mind and senses." Here the Bhagavata is not presenting a sectarian doctrine. It speaks to the entirety of human society. Every human being is a unit of dedicating tendency, but when a human is dedicated to a worldview arising from a mind informed simply by the senses, it can never be satisfied. Such a worldview is hot for one, cold for another; good for one, bad for another. Based on sensual input, one person's mind determines that something is good, while another person's mind determines the same input to be bad. Which is it? The answer lies beyond the small world of the mind, as the duality of the mind will never allow one to arrive at the essential nature of being. The sage Suka says that in bhakti to Adhoksaja lies the highest ideal for all humanity. How does one get this kind of bhakti? The Bhagavata replies that bhakti has no cause outside of itself. Only bhakti gives bhakti. Thus we must find a bhakta, or one who has bhakti, a person in whom there is no ulterior motive, a person in whom bhakti is not intermittent, but rather uninterrupted. If we study the religious history of the world, there is no better example of this than that of the milkmaids of Krsna's Vrindavana. Their bhakti is not predicated on any reason. Indeed, in the context of the pastimes (lila) narrated in the Bhagavata, one would think that there was good reason for them not to love Krsna. Neither fear, prospect, or duty, but love alone–which knows no reason–motivates them. These simple village girls have shown the world the highest dharma–unmotivated love for Krsna that nothing could check. Indeed, any attempt to check their love only caused it to flourish that much more. Thus Suka highlighted the example of the milkmaids of Vraja, the gopis, in answer to the Raja's questions. This is the glory of their parakiya–uninterrupted love. And by explaining their love the sage Suka answered the question of death. 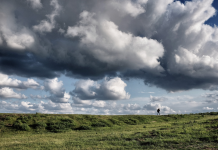 What to do about death? Deal a deathblow to the dictates of the mind and senses! Death is a misperception, an interruption in a life of misplaced love. The message of the Bhagavata is live to love Krsna. Doing so without interruption is to be situated in immortality. Only by this standard of love can the atma be satisfied. Atma means body, mind, and soul. Not by serving the body or mind will these two ever be satisfied. Never! Only when they are employed in serving Adhoksaja will they release the soul from their oppressive rule. Only then is there hope for satisfying the soul, for outside this experience the soul remains a theory. When the soul sees itself in every sense, it sees its source as well. 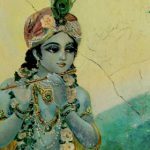 In this vision lies the possibility of love–para bhakti–and this para bhakti satisfies the soul because it is aimed only at satisfying the Supreme. This is the pinnacle of dharma–prema dharma–love supreme. Where can one find it? It is flowing in this world through the lineage of Sri Caitanya Mahaprabhu.